Port Hawkesbury is a town located on the southwestern end of Cape Breton Island, on the north shore of the Strait of Canso in the Canadian province of Nova Scotia. The Town was originally named Ship Harbour (after the harbour which it is located) and is largely a service centre for western Cape Breton Island. Many of its residents work in large industries in an industrial park located in the adjacent community of Point Tupper, Richmond Country. 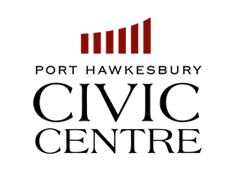 Port Hawkesbury is a major service centre, located on the beautiful Strait of Canso, and offers a unique blend of economic, cultural and lifestyle opportunities to those living and visiting the area.